This is a case study to show how planting trees in the school environment can have a positive affect on all aspects of a child's education. Trees as we all know are imperative for human life, but they are also a fantastic way of inspiring children to understand nature, the curriculum, risk and risk management and provide them with quiet spaces to learn and contemplate. 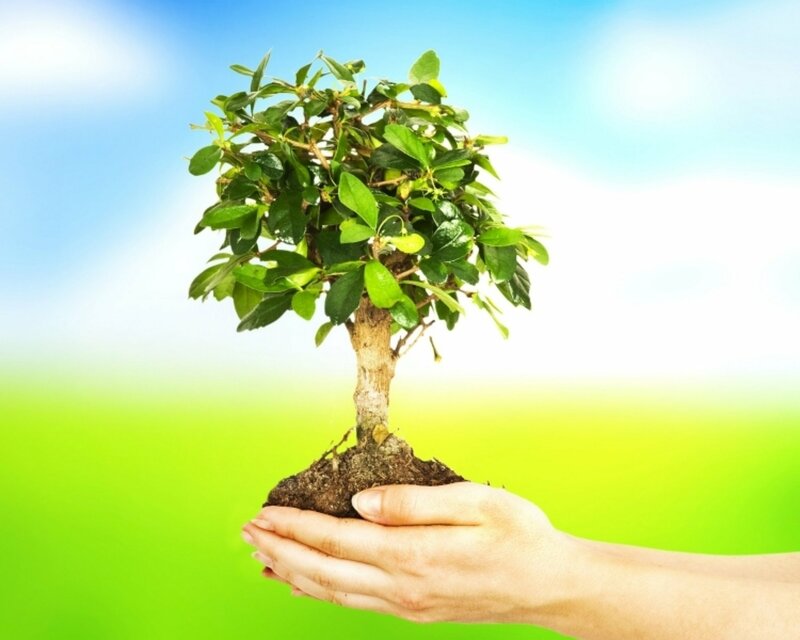 Encouraging children to plant trees and other plants can provide a seamless gateway into many areas of the curriculum. Using science, children can learn how living things are classified into broad groups according to common observable characteristics, all based on similarities and differences. They can observe and describe how seeds and bulbs grow into mature plants, finding out why plants need water, light and a suitable temperature to grow and stay healthy. Children can identify and describe the functions of different parts of flowering plants: roots, stem/trunk and leaves and investigate the way in which water is transported within plants. Through observation over time, children can observe the effects of climate and weather on plants and can discover about the habitats that trees create for humans, animals, insects and flora. Children can incorporate computer skills by using the internet to research trees and gather information on local trees, insects and animals. 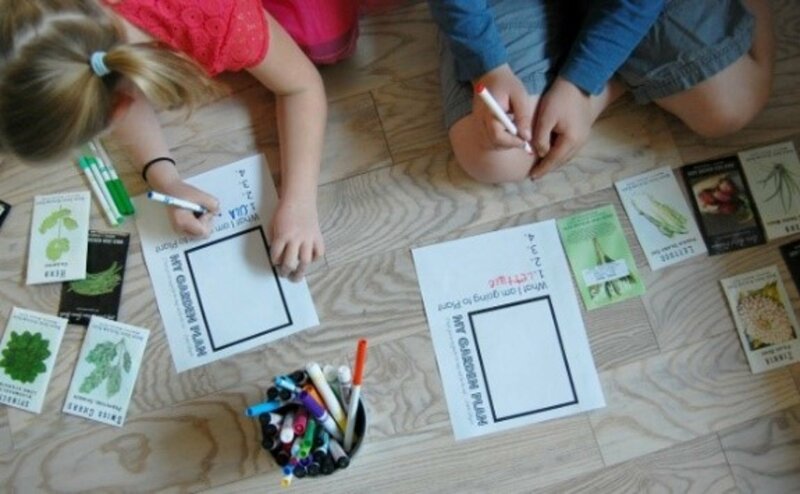 Children can also connect geography by identifying where the original seeds for that tree came from and use maps to locate the different places. They can also use eight points of a compass, four and six-figure grid references, symbols and key (including the use of Ordnance Survey maps) to build their knowledge of the United Kingdom and the wider world. Through this, children can work collectively, encouraging team work which reinforces friendships and also promotes new friendships. The trees girth, height and growth rate can all be estimated and measured throughout the year, all whilst learning new vocabulary. Planting trees can empower children and allow them to take ownership of their school. The fastest way to empower children is to make their work matter in the real world. By creating an environment where their effort will impact other people, you can help children recognise the tremendous power they can have. Teachers need promote active and independent learning that enables pupils to think for themselves, and to plan and manage their own learning. Planting trees can give children ownership of their school by allowing them to plan where to plant, what trees to plant, planting the trees and taking care of the trees. The trees planted can also be used for activities such as cooking lessons and snack time decided by the children. Planting trees provides a gateway into many areas of the curriculum including physical development and risk management. In some schools, children can learn about risk and risk management by climbing trees, which can easily be managed with well thought out risk assessments and appropriate staff training. 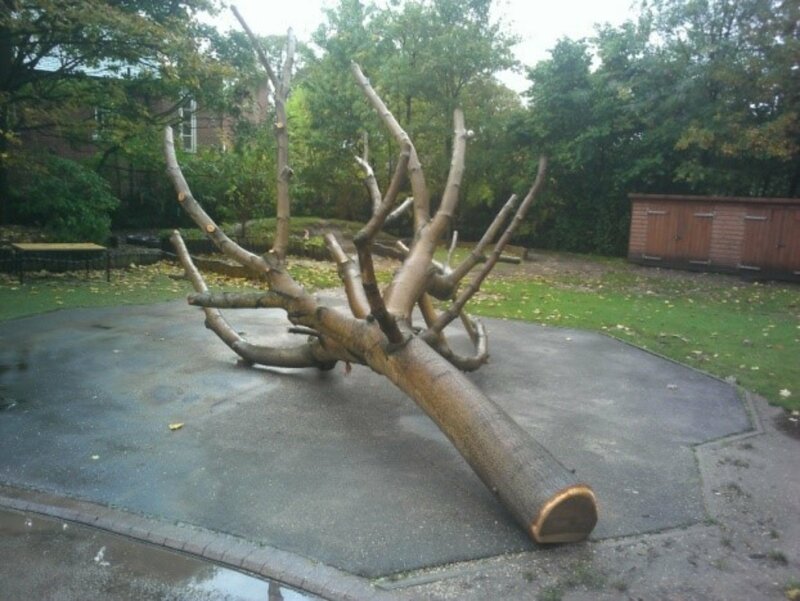 Schools can use trees that have been cut down, laying them on their side as climbing trees, will lower fall heights reducing risk in addition to bringing climbing opportunities to schools that may not have any existing mature trees. Children’s cognitive, social and physical abilities are developed through generating choices, making decisions, negotiating, using ideas and imagination, exhibiting motivation and perseverance through challenging play. Planting trees can also provide another important area of children’s school life, creating quiet time in a peaceful environment. Providing children with a quiet and tranquil place for reading, reflecting and a calm meeting space away from the hustle and bustle of the playground is imperative for children. By carefully planning where trees are planted you will be able to create spaces like this that are crucial for a child’s development. If the schools are fully involved in the planning and planting process, children can also discover the skills needed by people undertaking these jobs, in this case those skills that relate to the planting and care of trees such as a garden designer, a tree surgeon and landscape gardener. The curriculum and life skill links are endless, limited only by the teacher’s imagination, giving the opportunity to inspire children in new and innovative ways. Planting trees is fun, exciting and inherently educational for children, so why not put an area aside in your school grounds, get the children inspired and start planning your mini forest today.